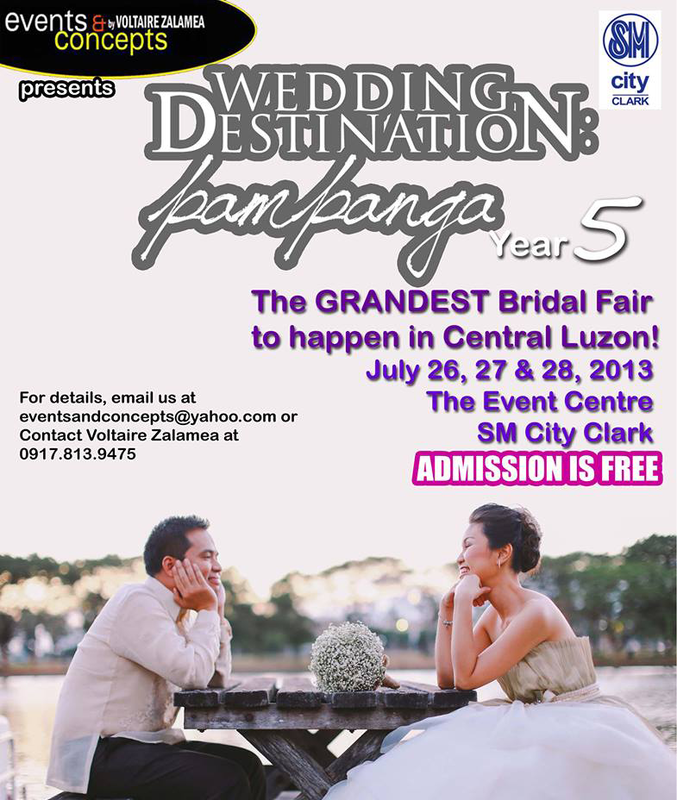 The GRANDEST Bridal Fair to happen in Central Luzon, will take place on July 26-28, 2013 at the New Event Centre of SM City Clark. The fair aims to promote the region’s best wedding suppliers and Pampanga as an excellent wedding destination north of Metro Manila. 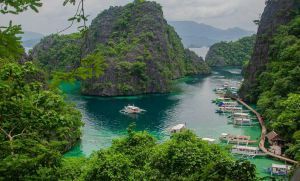 Now on its fifth year, the event is organized by Events and Concepts by Voltaire Zalamea, one of the most sought-after wedding and event planner in the region and a member of the prestigious Philippine Association of Wedding Planners (PAWP). The fair brings together the biggest names in the wedding industry. Event stylists, make-up artists, gown designers, caterers, photographers, videographers, entertainment artists, jewelry suppliers, lights and sound providers, cake makers, photo booth suppliers, invitation designers and printers along with honeymoon travel agents, and some very surprising vendors come together for three days armed with discounts and superb services. Wedding Destination: Pampanga Bridal Fair has made a name for itself as one of the events that soon-to-weds look forward to. This year became bigger as it gathered more than 70 of the best wedding suppliers in Pampanga. The event is supported by Clarkisit.com, Wedding Essentials Magazine- the best-selling bridal magazine in the country; Weddings @ Work (www.weddingsatwork.com) – the most comprehensive wedding website in the Philippines; JCI Angeles City Culiat, Manila North Tollways Corporation, North Luzon Expressway, Angeles City Tourism Office and PUNTO! 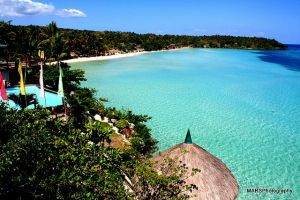 Central Luzon.